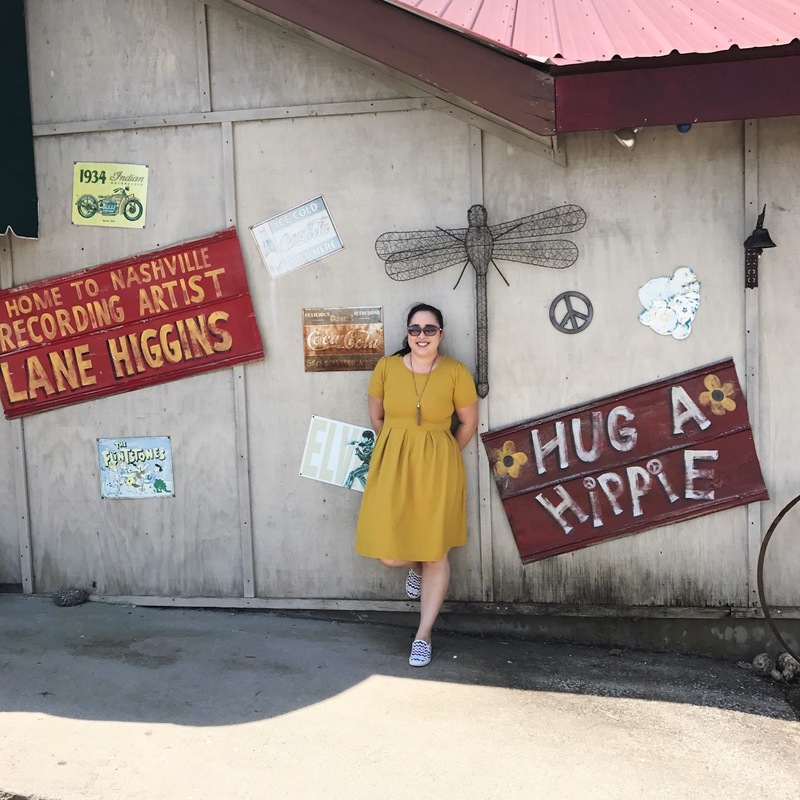 My last "Out & About" post was Williamson County-focused, so this time I'm taking you up into the city... Nashvegas Nashville! I've been to what I believe was the first Martin's in Nolensville, but recently I found myself at the location downtown for a work function. The downtown location often has a line out the door, but there is a TON of space... just head upstairs! I was happy to see plenty of local craft beers on tap. We ordered a ton of appetizers, so I didn't want to get TOO much food as my entree. One of my favorite meals (I know, it's not traditional BBQ, whatever, it's on the menu everywhere) is a baked potato with BBQ on top of it! Yum. The one thing that makes Martin's a little different is that their sauce is on the runny side. More vinegar than molasses, perhaps! It's definitely one of the best BBQ spots in Nashville, along with Edley's and Peg Leg Porker. Nashville isn't a BBQ destination (Memphis is more so) but you can find some good stuff here. 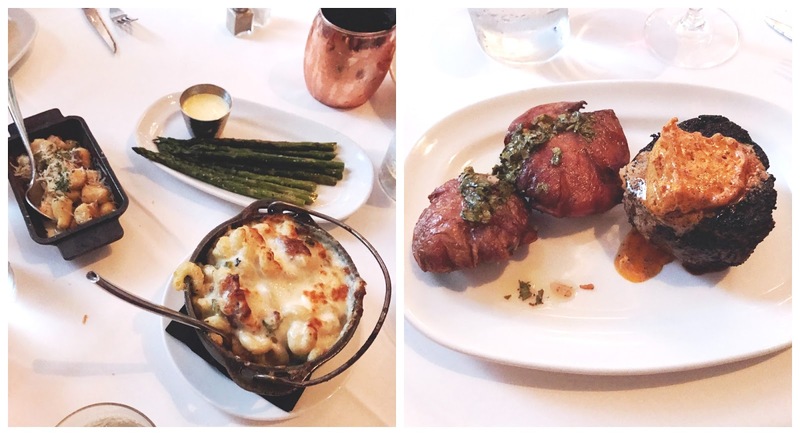 I've dined at The Southern a few times, I think always for work! It used to be the only place downtown that I really recommended that people eat, because for a while that area was lacking. Now, there's plenty of upscale and foodie spots there too! Once again, I ate a bunch of appetizers... I love their friend green tomatoes, steak biscuits, and crab cakes. For supper, I enjoyed a small steak, though I was so stuffed that I could barely finish it! For large groups, they'll work out a pre-set menu. So that means dessert is included! The bread pudding was so heavy, but tasty. You should definitely split dessert with someone, as the portions throughout are huge. It's a nice, busy place near downtown with guaranteed good eats. I heard that Tavern is where the cool kids hang. It was the only M Street restaurant concept that I hadn't visited, minus their Rosewall venue and their private Citizen club. My friend B and I went to brunch at Tavern before we went to the ballet. The wait was like two hours, naturally, because everywhere the young people want to eat is like that. But we knew that you can sidle up to a bar seat first-come, first-served, so that's what we did. The lower bar was crowded, but we found seats easily at the upper bar area, which serves a full menu. I had the pain perdu, which was basically as if French toast and s'mores had a baby. I'm not sure if I'd go back, given the hipster tax (long wait plus pricey food) but it was yummy! 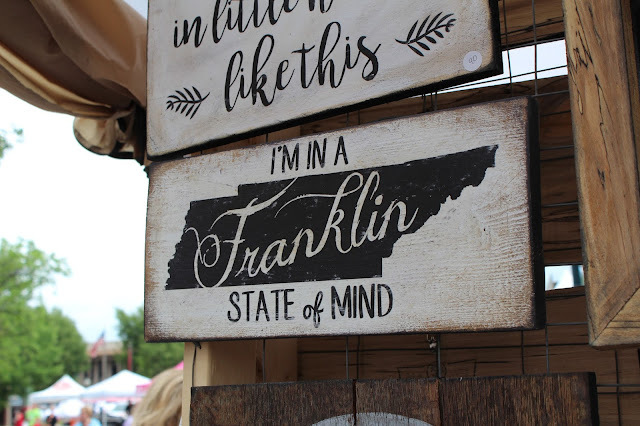 Lenox Village is a bit off the Nashville path, but it's a popular little area with a lot of nice shops and restaurants. Umami is just around the corner from Burger Republic, and I went there with my friend P for lunch on a weekend. My friend J had recommended it, especially because they have Korean food! I had some tamago sushi, which I typically love. This one wasn't the best I've tasted, but not bad. It's hard to find good tamago in the middle of the U.S. in general. I think I like a bit more mirin and soy sauce. The Korean beef tacos were DELICIOUS. I really need to get back to try some of their Korean fried chicken and other dishes. 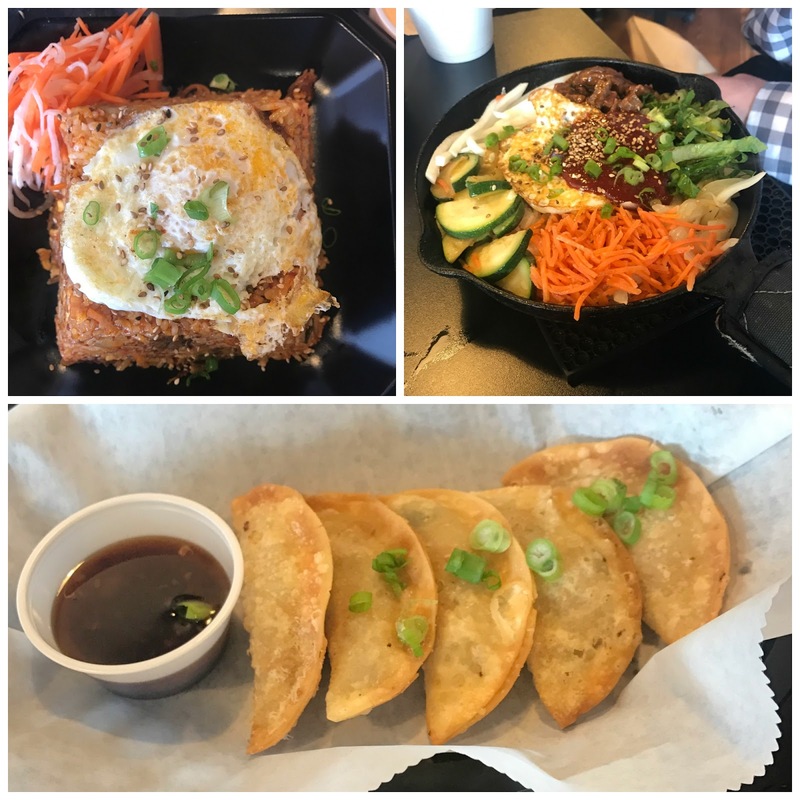 It's possibly a little easier for me to get to Lenox than Antioch for Korean food, and it definitely had a nice Korean vibe to the whole place. (K-pop videos on TV, Korean families gathering, always good signs!) I'll definitely be back to Umami. The same weekend as the National Cornbread Festival (read my post here), downtown Franklin hosted its annual Main Street Festival! Basically, I live in Stars Hollow, because downtown gets shut down to traffic and hosts multiple festivals every year. While Main Street Festival lacks the themed charm of Pumpkinfest and Dickens of a Christmas, I love the arts and crafts! I snagged a beautiful hostess apron at this cute booth! I love the full apron my cousin got me from Anthropologie for cooking, but I love the hostess apron for when I'm doing things around the house and I need a pocket for my cell phone. It doesn't have a tag, so I can't remember the vendor, but I also got this fabric sort of bowl to put under dishes in the microwave, so you don't burn your hands taking it out and carrying it. Perfect for the office! 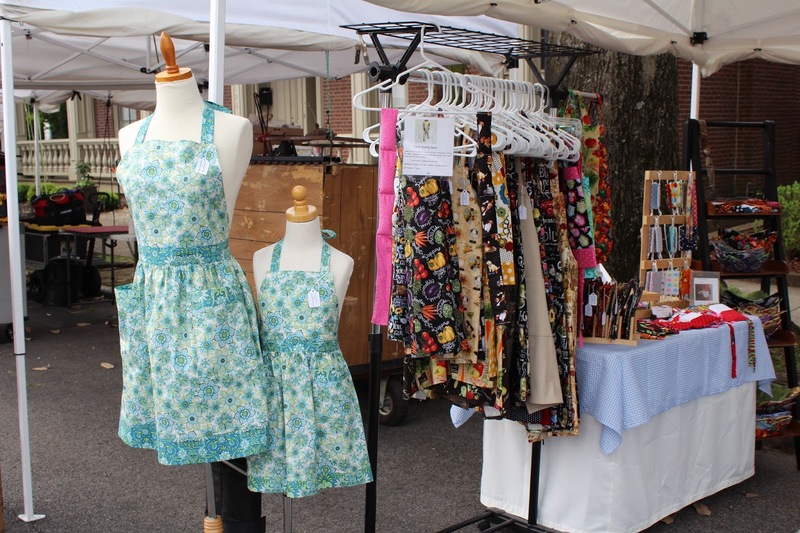 There are also the usual charming Franklin shops open, like Landmark Booksellers and Earlys Honey Stand, in addition to some creative crafters. I find that many of the crafters are from throughout the south. Two of my favorites. Sign Niche, a perennial favorite, and Five Birds Art, from which I purchased a hand painted Tolkien quote. 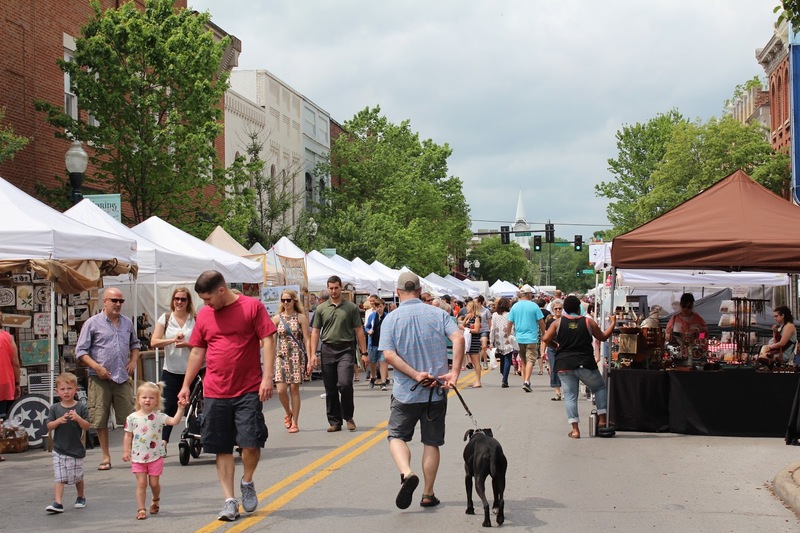 Downtown Franklin festivals are a bit of logistical nightmare. My secret? I roll in about 45-60 minutes before the festival, in the morning. I grab breakfast at Starbucks or Frothy Monkey, then I sit and wait. I browse when it first opens, then bounce by the time the weather and crowds heat up! Another alternative is to find out if there's a park and ride option for that fest. There's usually a shuttle that allows you to bypass the parking and traffic nightmares. SHOPPING... I am loving my #kimmieforever shirt and buttons, designed in memory of my friend Kimmie who passed away a few weeks ago. They're based on a portrait by her local artist friends Crystal & Marc at Olivia Frankenstein. I wore mine for work on Friday with a blazer, and I loved chatting with folks about the awesome design. RELEASING... myself from hangups about the mirror. I'm not the size I'd like to be, but I can still rock a mirror selfie, so you'll see a return of some of my #ootd Instagram posts I think! BREAKING... I'm in need of a break! LOL We're going on vacation in a few weeks, so I'm kind of seeing that as the light at the end of my current tunnel. CLEANING... laundry. Laundry, laundry, laundry. I've had two loads of clean stuff in a basket all week, and more to do... and a suitcase on the floor. 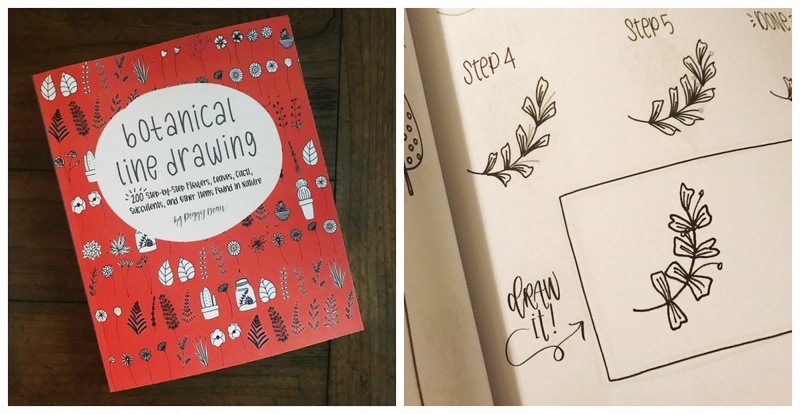 The weekends I'm home are usually spent blogging, doodling about, reading, and doing laundry. And it's kind of nice not to leave the apartment at all sometimes! 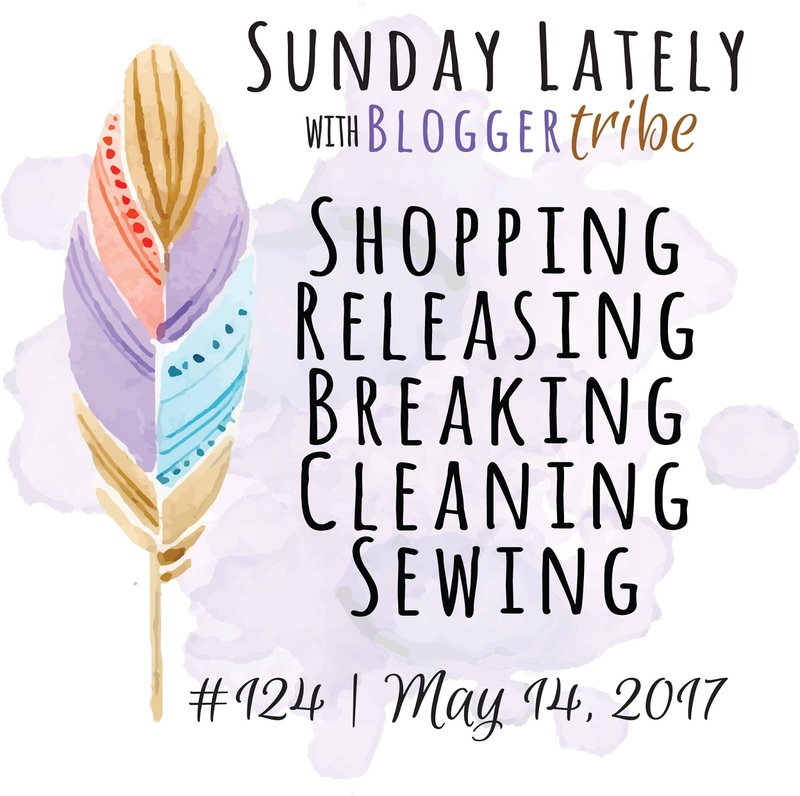 SEWING... nada! A few weekends ago, I did a pile of mending, but I haven't really sewn in years. I did buy a couple of books on brush lettering and botanical line drawing from Peggy Dean to stretch my creative muscles. So there's that! 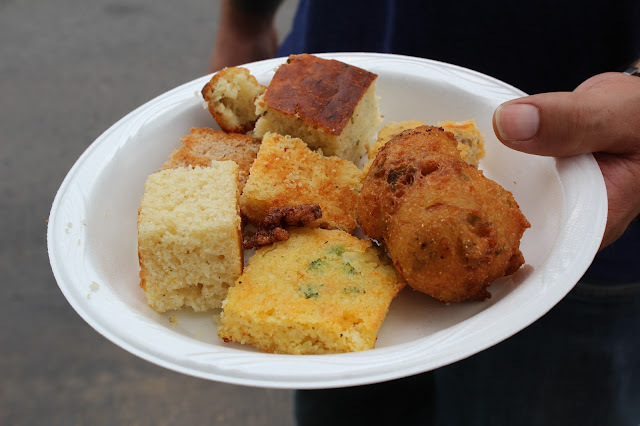 On the Blog: Our trip to the National Cornbread Festival and touring the Lodge foundry. On Twitter: My husband had a genius idea on how politicians could be more transparent. On Pinterest: I have been thinking about building a house someday. And since I stay in a lot of hotel rooms, I keep thinking how master suites and guest rooms should be laid out more like hotels! On Instagram: I work in a pet-friendly office, so I loved this snap I took of Matilda the doxie mix, held by one of my work besties. Shopping: I want a denim jacket, but I haven't found one I love. I have a white one from Liverpool Jeans, and it has this comfy stretch to it. I wonder if this one would be a good match for me. I love my Lodge cast iron (and carbon steel) cookware. So when I learned that you can tour the Lodge foundry only one weekend each year, during the National Cornbread Festival, I added it to my mental Tennessee wishlist. 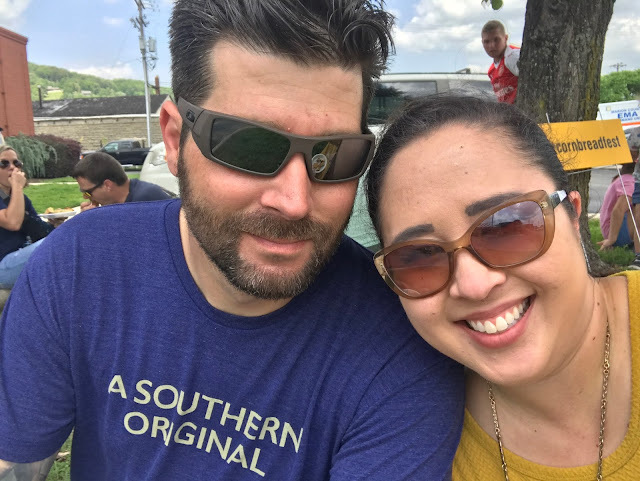 It's just under two hours for us to get to South Pittsburg from Franklin, so we made a day trip out of it a couple of weekends ago! 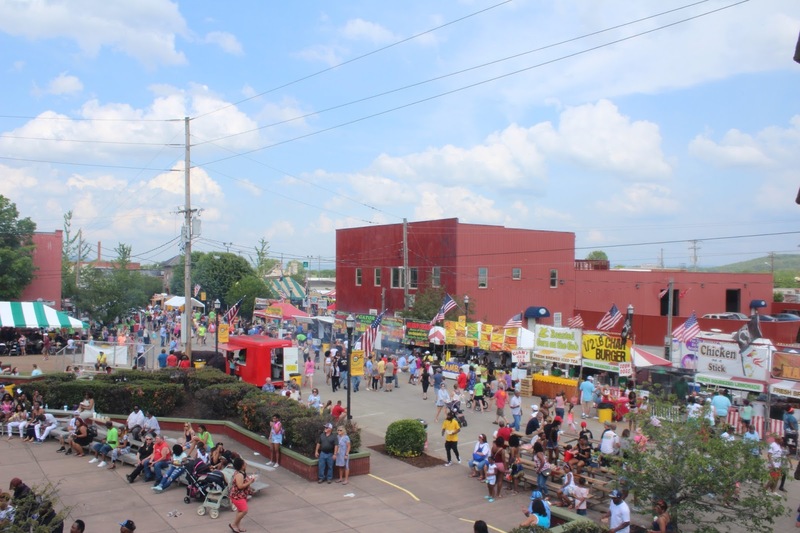 The festival is held in a small town, and it draws a crowd! I think Dan was a bit overwhelmed by the droves of people who came out for cornbread, cast iron, food, and crafts... but I was loving it. 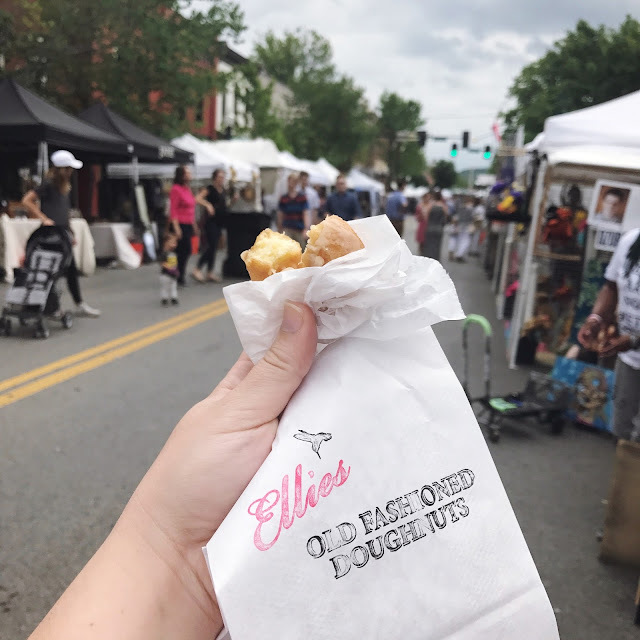 We hit up Cornbread Alley, where for just $5 you could sample a ton of really creative recipes. I think the strawberry walnut one was the most interesting to me, and there were even recipes with bacon in them. The other nice part about attending the festival? I got to have a day date with my husband, and I got to catch up with a couple of my beloved DAR friends! And it pays to know the locals.... I got the hookup for some corn omelette-pancakes (hard to explain, but soooo yummy) and even got to meet Henry Lodge, the President and COO of Lodge! This is totally the nerd in me, but I love factory tours. I think it's fascinating to be able to see how things are made on such a grand scale. 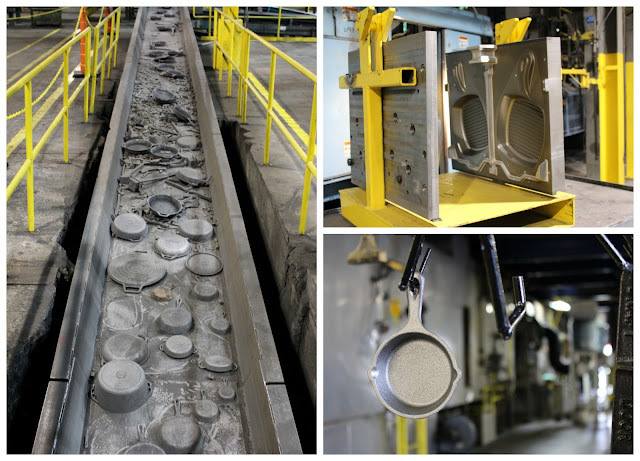 I've toured a pet food factory, a large scale craft beer production facility, and now a cast iron foundry. I was so surprised by the beautiful silver color that the cast iron has before its seasoning. It also surprised me how the product was sort of all mixed up along the line. I wonder how they track production and inventory, and what percentage of items don't pass muster. I'm sure it's a science and an art! We also made a pit stop in Monteagle, which, along with Sewanee, I think is so quaint. Here's a pic from when we stopped at the Amish Hippie, where I picked up a jar of crackberry (cranberry blackberry) jam. and what do you like most about them? 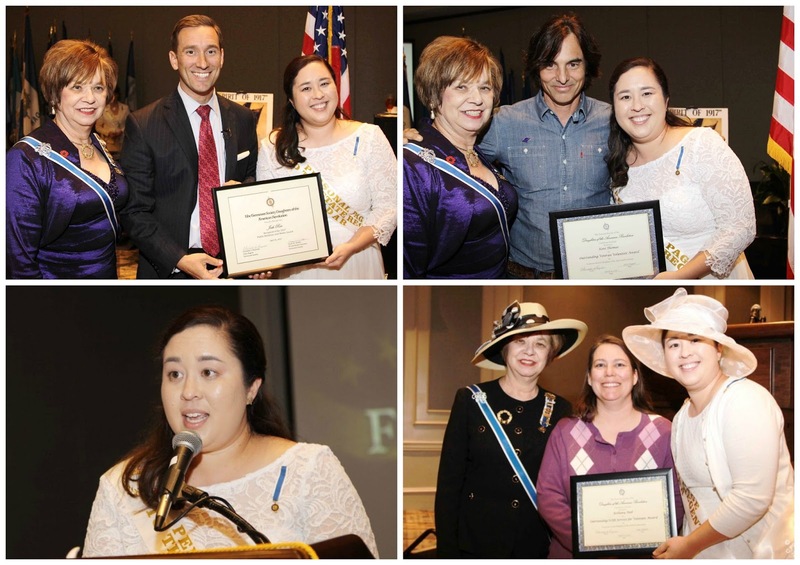 A couple of weeks ago, I served as a page at the 112th State Conference for the Tennessee Society Daughters of the American Revolution. 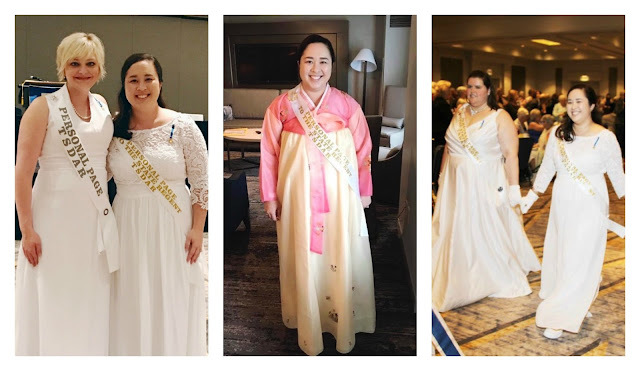 I try to do at least a post or two on my blog every year about my DAR activities, so you can learn a bit more about the organization and why I dedicate so much of my time to its mission. 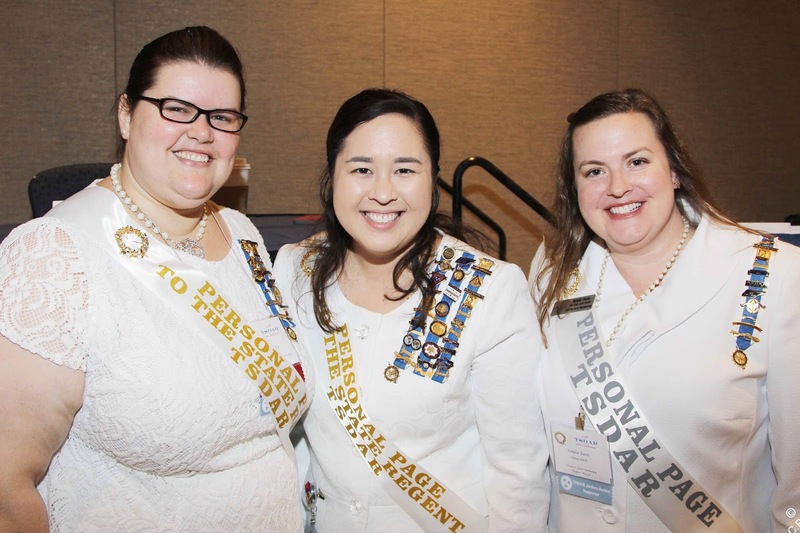 This year, I was honored to serve as one of our State Regent's personal pages. 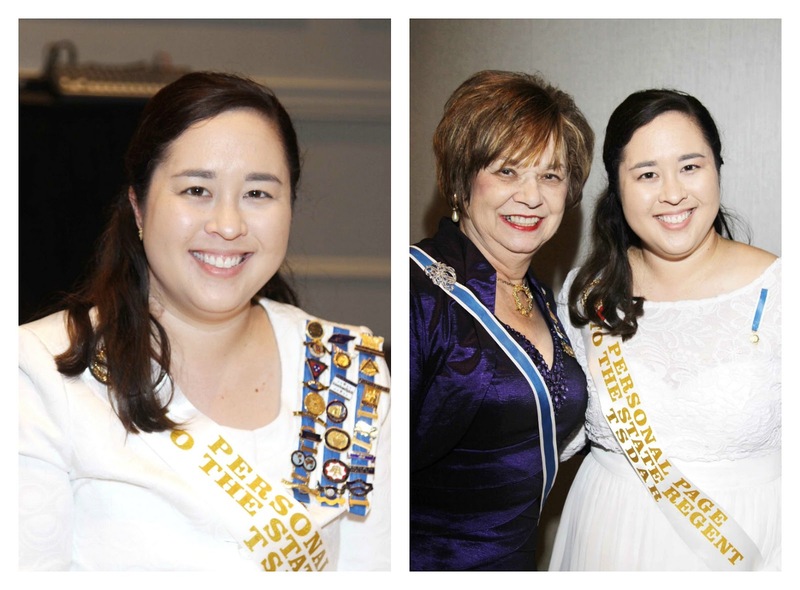 The State Regent is the leader of a state's DAR society, and in Tennessee she is elected every three years. 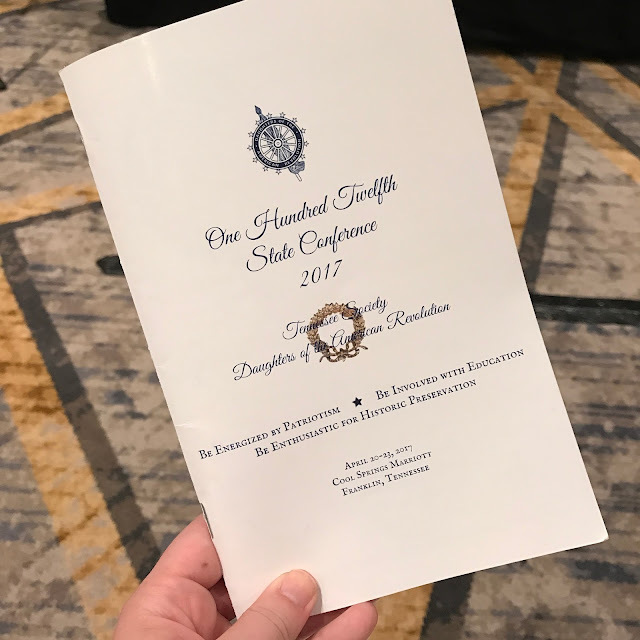 This was the first State Conference for our newest State Regent, so it was wonderful to be a part of her inaugural conference! Tennessee has one of the largest groups of pages in the country, from what I've been told. 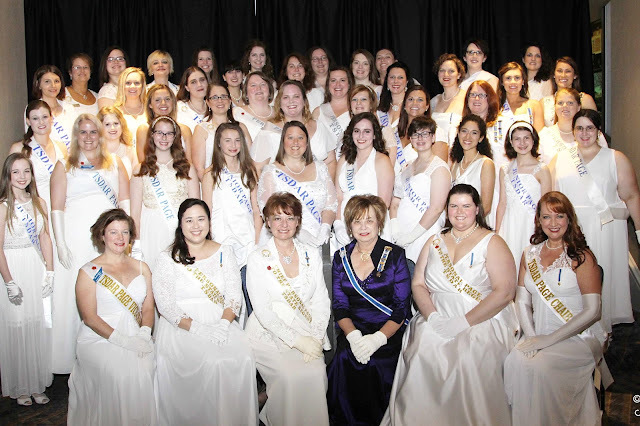 Pages are typically Junior members of DAR, full-fledged members under the age of 35. Depending on the state, you are allowed to page until you are 40-ish, but definitely until you are 40 you can page at the National Continental Congress. I would describe us as ladies-in-waiting or handmaidens in a sense. We are the workhorses, always ready to lend a hand and help the conference run smoothly. As you can imagine, crazy things can happen when you've got hundreds of ladies in one place. I've got some hilarious stories for sure! But I get to spend the time with my best friends in DAR from across the state. One thing that was different for me this year? More PUBLIC SPEAKING! I am a State Chairman of a committee, as well as a vice-chairman for another. I presented three awards and gave two reports during this conference. Two of those awards were presented on our Opening Night, where there were hundreds in the audience! I prepped my scripts ahead of time, and I felt really great about how things turned out. It was a great experience for me, and I don't think I'll be as nervous in the future! DAR has been such a wonderful part of my life in Tennessee. I feel like I have a family of "aunts" and "sisters" across the state! I feel like with DAR, you come for the mission and purpose, and you truly stay for the people. I joke with my DAR BFF that we'll be in our 80s rooming together at these events with grey hair and whatnot, but that's actually what I WANT someday. A life full of service. Unlike the past two years, I'm not planning to head to D.C. for Continental Congress, our national convention. I am saving up my vacation days for my sister's wedding festivities later this year! I do plan on heading back next year to page with my friends. It's hard work, but I just keep coming back. I am heading up to my home state of Indiana's state conference in a week or two to page, and I'm excited to see what a different state's conference looks like! I took a quick trip to Skokie, Illinois (near Chicago) for work this week, then spent the weekend pup-sitting and around town. It was a busy one for sure! 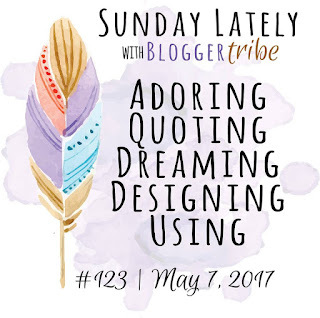 Here's this week's Sunday Lately. ADORING... my new Tory Burch perfume! It's Jolie Fleur Lavande, and I love the floral powder-y smell. It's not the strongest scent, and I wish it lasted longer throughout the day. But it was irresistible after I tried the sample from Sephora. QUOTING... Tolkien! 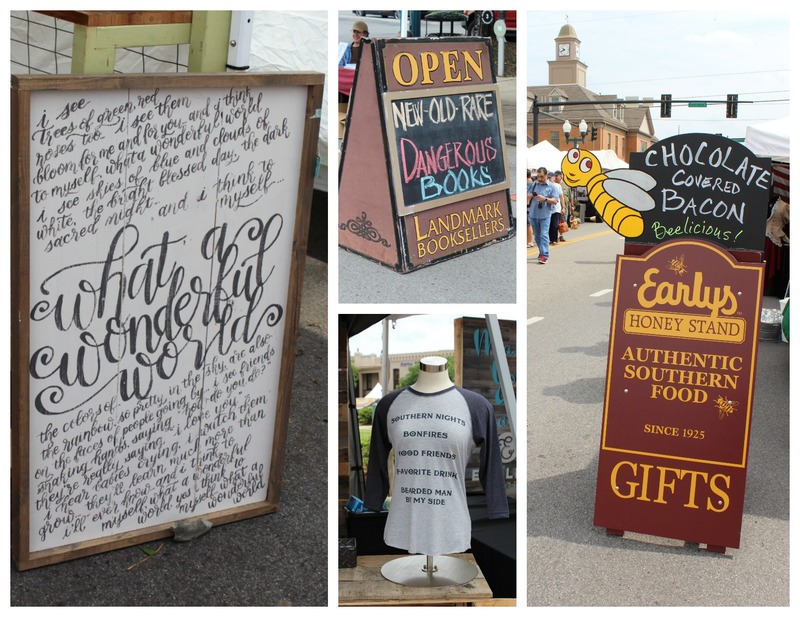 I saw a hand-painted quote sign at Franklin's Main Street Festival, and I had to take it home! It goes so well next to the metal sign my sister bought me from Jimmy Don, the guy who does all the metal signs for Fixer Upper. 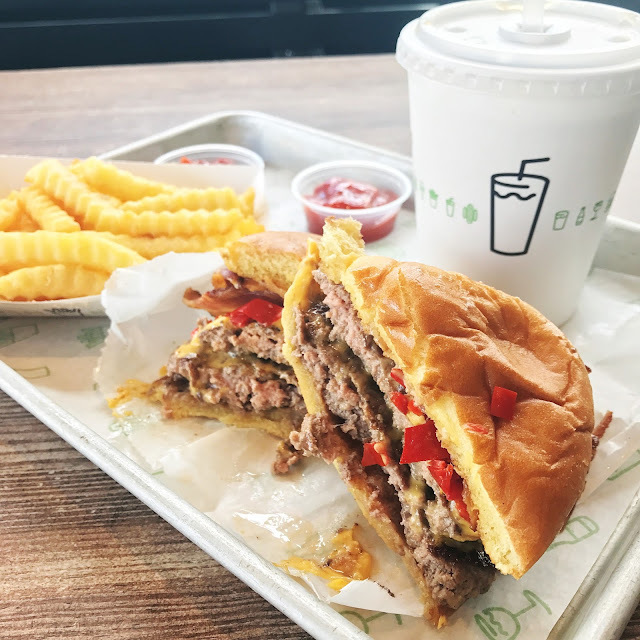 DREAMING... of more Shake Shack burgers. Noms. There was a Shake Shack near my hotel in Skokie! DESIGNING... my dream home via Pinterest. We have no intent to buy or build a home anytime soon, but that hasn't stopped me from pinning away! USING... the Rebecca Minkoff purse that I bought in Arizona in March! The warmer weather and the small size are just perfect. I carried it today to brunch with my friend and then the ballet. On the Blog: Reviewing lip color that lasts with Lipsense! On Twitter: I maintain that people should walk on the moving walkway!!! On Pinterest: I'm wondering if this is the dress I should wear for my sister's wedding in October! On Instagram: Look at the cute pups I dog-sat for this weekend! Shopping: I've been thinking an LED makeup mirror should replace the old one I have. Disclosure: I received Lipsense samples for free for this sponsored post from an individual seller. I promised to review the product, honestly, with all opinions as my own! 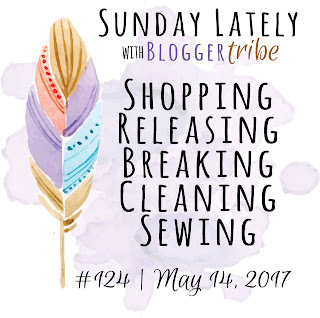 I review a lot of products on my blog that are sold through consultants or distributors in direct sales. After all, we see our friends and family selling these things on Facebook, so we get curious! 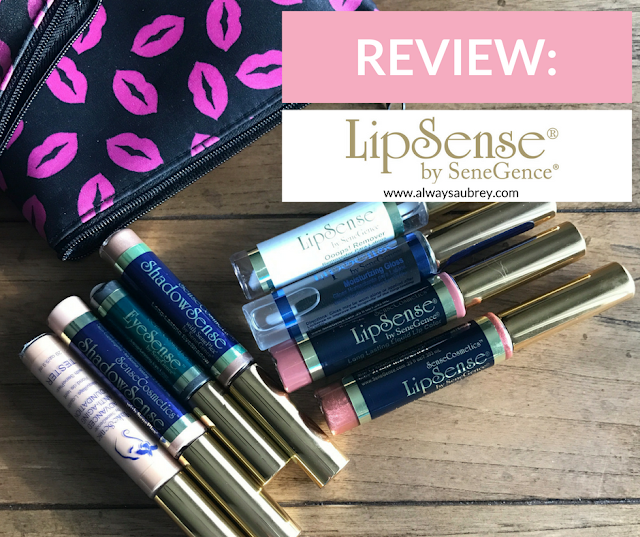 One of the products I kept seeing pop up was LipSense, a long-lasting lip color that was getting a lot of buzz. So when Valerie reached out to me about a sponsored post, I told her I'd be willing to give it a try, so long as I could write whatever I wanted about it. She was game, so I gave it a whirl! 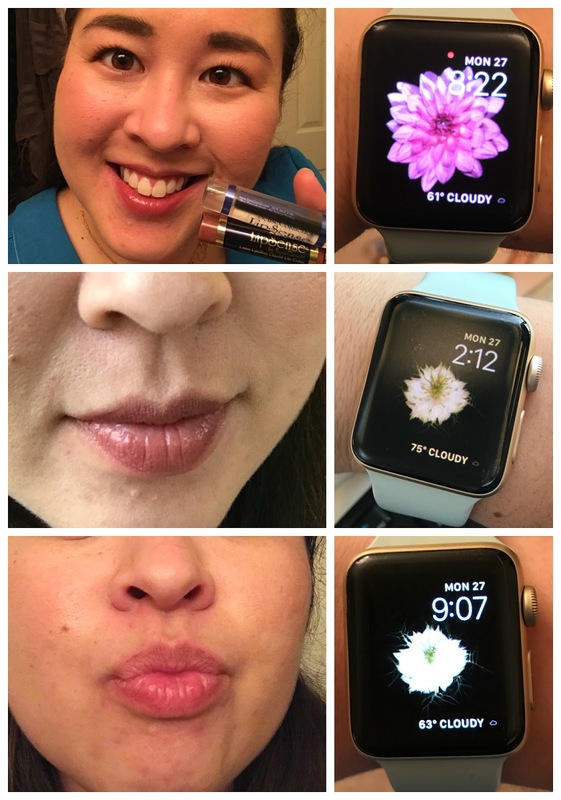 LipSense isn't like your normal lip color. There's a multi-step application process. It helps if you've prepped your lips with a lip scrub or a warm washcloth to smooth them. You can feel a tingle from the product, nothing painful. You need to take the time to apply multiple coats to make it last. You don't rub your lips together or do the normal lip gloss stuff. You follow the instructions. For my review, I decided that I would NOT reapply the color throughout the day, but I would reapply the clear gloss. That way, I could see how long the color really lasts during a day of Aubrey at work, drinking beverages, exercising, you name it. Because this stuff can be worn to swim, y'all! You can see it was still awesome at 2pm, but after a workout by 9pm it was wearing away. Needs one reapplication, probably after lunch is best! I don't know if you can tell from the photos, but this stuff STAYED ON. The only place it didn't stay were my inner lips, where I make contact with cups and whatnot. I also noticed that those spots are usually more wet as well, making it harder for color to stay on. That said, I know for certain that if I'd reapplied around 2pm, it would have lasted all night. I also got a bunch of compliments on my lip color, which NEVER HAPPENS because mine normally wears off before lunch. The next day, I tried the shiny color. My deskmate (a dude) commented that he noticed my new lip color and liked it. He has to look at my face every day, so it says something that he noticed! This color stayed on even better, probably because I was also getting better at application. Once again the color stayed around the outsides, even after working out! See the inner part when I pucker? That's the only place the color didn't always stick. Individual LipSense colors run you $25, and a kit with color, gloss, and remover run $55. That means one color actually costs less than the NARS lip pencil I usually use (which needs reapplication), but more than the Sephora lip stain I sometimes wear (again, doesn't last to lunchtime). So I would say that these are priced fairly, consideration the richness of color and how long they last overall. The labeling/packaging isn't the cutest, but so what? Valerie sent mine in these adorable little pouches! One reapplication during the day, and I've got 12+ hours of color. You really can't beat that, at least not with the Sephora, NARS, Clinique, Buxom, Tarte, and more lipsticks, stains, and glosses I've tried. This is the only product I've found that has true staying power, with just a little extra application time and one fill-in during the day. Verdict: I'm going to use these until they're empty, and I may buy some more with my own money too. It's worth trying a couple of colors to see if you like it! P.S. I did play with the eyeshadows a bit, and I like that they are creaseless. I will be using one of them as a highlighter, so I love the versatility! The tester for foundation wasn't a good match for me, but I have nothing but good things to say about what I tried. 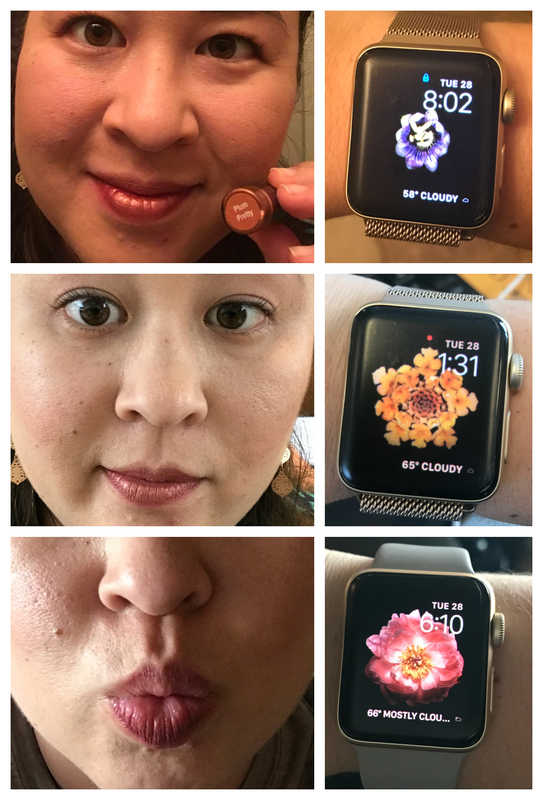 I rarely wear eye makeup, so I decided to really focus on the lip product for my review. If you have any questions, you can reach out to Valerie through her Facebook page or Facebook group, as she was extremely helpful to me in choosing the right colors and products! 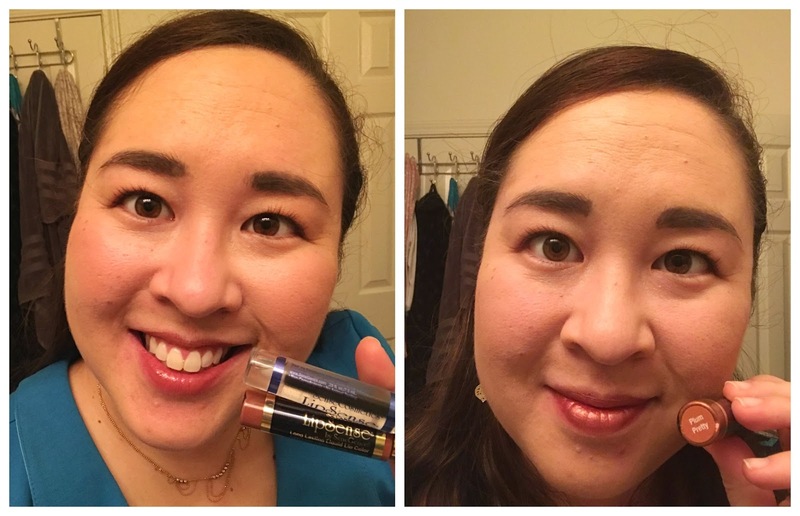 Disclosure: I received Lipsense samples for free for this sponsored post from an individual seller. I promised to review the product, honestly, with all opinions as my own! 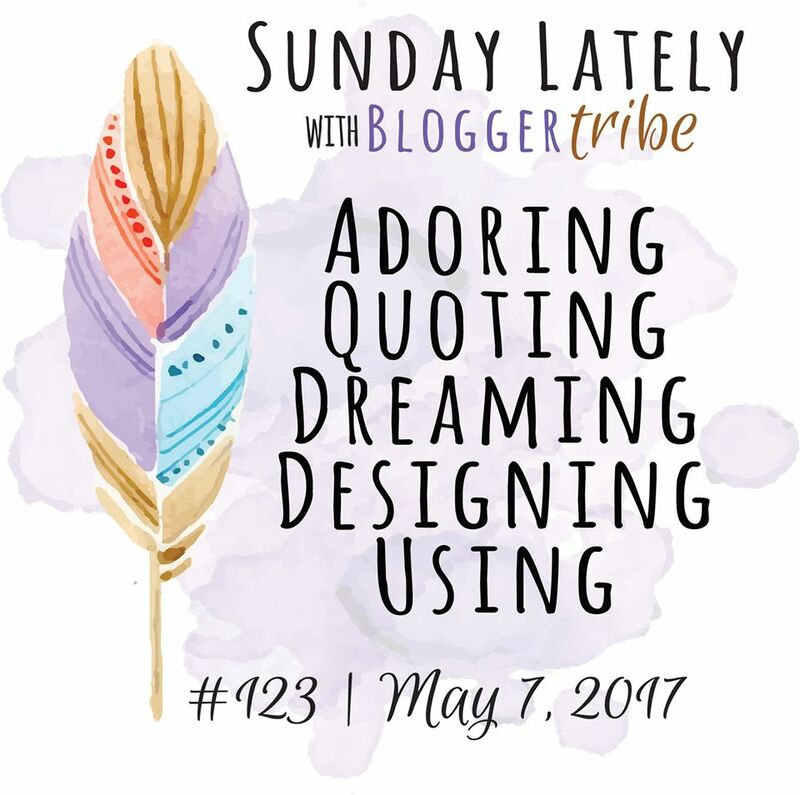 If you wish to learn more, you can visit seller Valerie's Facebook page or join her Facebook group to ask questions!